Wordbuilding is an important tool for any writer, particularly for science fiction. It adds depth to a book, it helps to develop character backgrounds, and it provides a pallate on which to paint your story. In Part 1 (link), I talked about the foundations of building your universe. In Part 2 (link) I talked about building worlds and star systems. Here in Part 3, I’m going to talk about those little details that really contribute to the story. One of the questions I find myself asking as I read a book is where things come from. Who made the flying car, was it a fully automated factory or the hand-crafted work of a mad-genius inventor? All the “stuff” that your characters use and interact with has to come from somewhere, whether it’s the weapons they use to mow down the bad guys, the starship they use to travel from one world to another, or the hand-distilled gasoline they use to roam the wastelands. As an author, knowing who made it and how the character acquired it can be important. Maybe that ship was made by a renegade faction and they want it back, or the fuel is a rare and precious resource that people will kill over. These are world-building elements that can tie directly into plot points for your story. Knowing where it was made, who made it, and how it got to the characters hands can give you a lot of material to work with in your story. Knowing who the big players are in the universe is a key part of worldbuilding and crosses over into plotting out your novel. Knowing that the antagonist for the main character in your first novel is the henchman of a greater villain that your characters will have to fight further on down the line is a perfect example. Knowing that the ally of a player is the child of a world leader sets up some potential help or conflicts of interest down the road. Putting names in your book isn’t necessary, but it does add some depth. Knowing how those people interact and whether or not they get along also adds some depth and can help you to write your story. The main characters getting caught up in familial disputes is part of the driving element of my Children of Valor series, and its something that most people can easily relate to, in that family can often be as much a hindrance as help. At this point, you’ve gone from the big questions all the way down to the characters that fill your universe. Hopefully you have a good grasp on how it all ties together. That’s all great news, but right now you don’t have a novel, you have a setting. Putting it all together, making things happen, requires characters. Creating interesting and dynamic characters is much easier when you draw them from the backgrounds of the worlds they live in. A renegade heir to a corporate empire who has forsaken his family’s ill-gotten gains can be all the more real when you know that his parent’s company utilizes the equivalent of slave labor in their factories. The never-do-well mercenary with a heart of gold makes for a more dynamic and realistic character when you know that he once served in the military and was a decorated war-hero, before everything went south. Your setting, the world you built, comes to life with characters. They bring with them all their experiences, all their background, and they are the paintbrushes with which you tell your story. Remember, also, that you’re here to tell a story, not to show every detail of the world you created. Sprinkle in those details throughout, but treat them like spices when you cook, a little bit can go a long way. Thanks for reading, and feel free to check out my other posts on world-building. I’ve got one on Steampunk and one on Fantasy. It may seem a little backwards, but my second post on world-building is actually going to talk about worlds. (See the first post here) While geography / celestial cartography is important, I don’t think it’s the foundation of building your universe in SF. Why is that? Well, you need to know how easy or hard it is to get there through technology, know how people will react when they do get there through culture, and who the players are by knowing the people. The rest, as to what’s actually there? That’s going to influence those things in return, but it’s still not quite as central. The earlier post was about preparing the conditions to tell the story you want. This one is more focused on developing the actual setting. Writing science fiction gives an author an amazing set of possibilities. As writers, we can explore distant worlds that can be whatever we think up. Those can be desolate waste-lands like Tatooine or thriving paradise planets and everything in between. This is all about determining the setting and this is where a lot of the Science Fiction greats did things really, really right. Frank Herbert’s Dune is a book where the planet itself is a character, which at various times tries to kill or save the people in the story. On Heinlein’s The Moon is a Harsh Mistress, the Moonis every bit as central to the story as anyone else. Whether your worlds are arid, airless rocks or a lush tropical planets, you need to determine what your story needs. A survival story set on a paradise planet might not be nearly so interesting as one on a world where literally everything is trying to kill you. The Martian is a great example of a science fiction survival story where the writer makes the planet’s conditions central to his story. The system’s star or stars can be a huge element of a planet’s habitability. The movie Pitch Black explored this in a pretty interesting fashion, creating a star system where a planet existed in continued light… right up until it got dark for a very long time. Asteroids, comets, moons, other planets, all these can be important to your story. Maybe the system has not just one but two or three inhabitable planets, maybe they’re claimed by different nations, maybe one of those worlds is undergoing a cataclysm of some kind. The Dragonriders of Pern series had a rogue planet that brought terror with it’s return every few hundred years. David Weber’s Honor Harrington series has a set of wormholes that made Manticore an economic powerhouse due to their central positioning for trade. The physical world and setting is going to directly impact your characters. Society, technology, and people will indirectly shape them, but the physical world is what they’ll see, taste, touch, hear, and feel. If a planet is a garbage world, does it smell? Do people from there lack a sense of smell because it has been burned out? Lastly, we come to one of the non-physical elements of setting: beliefs. This is a product of the physical and societal elements and it in turn shapes both. What do the various cultures and sub-cultures believe in? Has humanity spread out with a manifest destiny? Do they shove aside non-Earth life, terraforming worlds in their own image? Or is there a fundamentalist religion that has taken over a culture, instilling them with a reverence of all life, prohibiting violence for any reason? Has faith in science driven a group to pursue all manner of otherwise unethical experiments, delving into human modification and genetic engineering upon their prisoners? You decide, you shape it based upon the history and setting you’ve built, and then decide what you need to tell the story you want to tell. While developing the technology level, cultures, and people of your setting was the foundation, this is like the basement. This is the structure that supports your book. It’s there, its visible and the characters will interact with it all the time. Building stuff here gives you the tangibles that readers will notice and that will ground them in the worlds. Fill out these details for the story you want to tell. Next week, we’ll tie it all together in Part 3! I’ve got the full map of the continents of Eoriel and Noriel posted to the Eoriel Saga Geography page. You can follow the link or find it under the Eoriel Saga tab at the top of the page. In addition to the map, I’ve added some information about the world of Eoria. This will be a bit of an odd post. I’m here to talk about how to use philosophy in your writing. Now, I’m one of those odd types who values classical education (even if you had to do it yourself). Knowledge of philosophy and humanity’s efforts to come to grips with fundamental problems is something I think everyone should spend some time considering. Because at its root, most of our interpersonal and societal problems come down to differences in overall philosophies. Understanding these, being able to work these differences into your writing can add depth that a reader may not overtly see, but they can feel in character motivations and in the cultures and societies you create. At the lowest level, philosophy is about finding answers. Whether it is Plato’s Values or Kant’s Moral Imperative, most philosophers try to find answers to not just the big questions, but to find answers about how people should live their lives. They struggled to find what is “right” and some of them have left indelible marks upon our society centuries or even millennia later. Now, this isn’t to say that you need to read and study philosophy to make use of it in your writing. Most societies you design, however, will have struggled with the same truths and the same questions. It is human nature to look for meaning, even where there is none. Understanding the basic concepts, the ideas of individual versus community, of lesser and greater evils, and of fundamental truths, gives you some leverage to build a society that feels real. Writing a society where firstborn boys are sacrificed to their dark goddess will strike many people as horrific. Working into your writing that they do it to prevent the culmination of an ancient prophesy where a firstborn will bring about the end of the world establishes a conflict between the value of individual rights versus those of the general good (and also establishes why a firstborn who survives might well want to destroy that society). Oh, hey, and throw in a pair of twins where the eldest is mistakenly allowed to live, but that the ghost of his brother haunts him. There’s a great story hook for anyone who needs it. In all, I very much recommend reading some of the classic philosophers as well as some of the more recent ones, particularly John Stuart Mill and John Locke. Not only will that add some ability to develop morality into your worlds, but it provides you with a look at how we, as humans, reason. 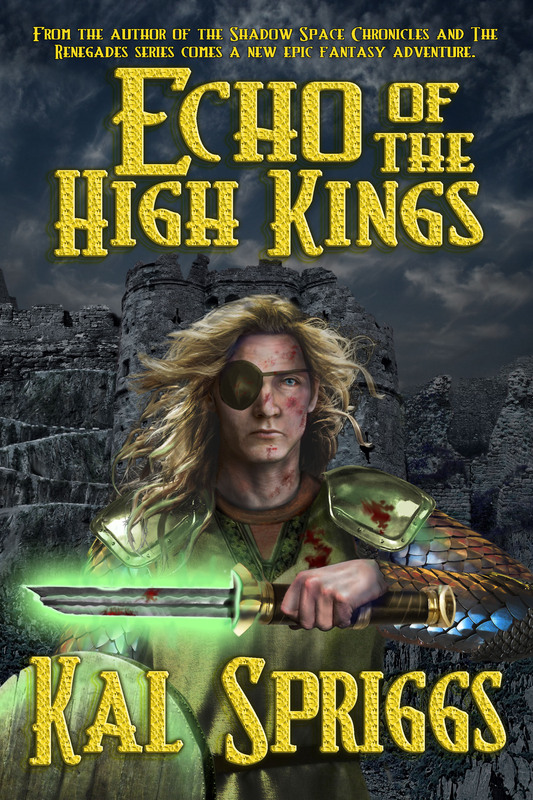 I’m happy to announce that the Echo of the High Kings Audiobook is now live. You can get your copy from Audible already and it will be coming to Amazon and iTunes over the next few days. So up until this point, I’ve developed my world, Eoria, configured what technology is available, what magic works, and even what people populate it. See the last post, on the history and cultures here. Today I’ll design the modern history, talk a bit about trade & industry, and design the societies that make up Eoria. First off, when I left off, the lowlands civilizations were disparate, which didn’t allow them to unify and push the highland barbarians or northern barbarians back. This was exacerbated by the southern jungle civilization, which I’ve named Vendakar, who prefers the other civilizations weak and uses the slave trade produced by the barbarian raiders for their own ends. Now, into this, I want to introduce the start of modern times, the notion of a central authority or leadership. I could map out the rise of some great conquerer… but I want to give them more of a feeling of legitimacy, rather than someone who just beat everyone else down. I also want to show, again, that this world is part of a greater universe… and that mankind didn’t originate here. So, I’ll introduce a new people, the Starborn. The Starborn arrive at Eoria during a period of heavy raiding by the barbarians. They come to Eoria aboard their ship, and they intially seek little contact with the natives, establishing a secure colony on their own. However, as their technology begins to fail, they are drawn into the local politics. As a contrast here, some of the Starborn seek to remain apart, others think that they should use their weapons and technology to seize power and rule, and a third group wants to work with the natives. The three groups have a short but brutal civil war in which the group that wants to work with the natives is victorious, while the conquistadors are exiled, sent north, where they found their own nation, called Darkstar. The isolationists are discouraged by both groups and head off on their own, to try and preserve ‘pure’ technology, rather than the magic and mysticism they see elsewhere. The majority of the Starborn begin to work with the locals. In particular, they are drawn to help in the fights against the barbarians. The leader of this faction, from the previous civil war, helps to unify the smaller nations, so that they work together against their common enemies. In the process, he steps into the role as the overall leader of their alliance… eventually coming to become their High King as things solidify. The five lowlands civilizations become the Five Duchies, each independent in their own lands but unified under the High King’s leadership. The Starborn also bring ideas of sanitation, crop rotation, fertilizers, rule of law, and other low-tech but still important elements of civilization. With the assistance of the starborn, the five civilized nations defeat the rising tide of barbarism. They also experience a population boom from the increased hygiene, improved economy, and higher food yields. The Starborn, partnered with the nobility of these lands, slowly move into leadership positions, often intermarrying with the locals. Some prefer to remain in isolation, living separately, but many become the leaders of these other nations over generations. The reign of the Starborn High Kings is a time of peace and prosperity. The Starborn value individual freedoms and personal responsibility as well, so there remains some upward mobility in most of their lands. They also approach magic from a scientific stance, so they push the boundaries of magical theory. Going into each of the Five Duchies, I can decide what their strengths and weaknesses are, what they trade for and produce, and what the defining characteristics are. I’ve named them: Marovingia, Asador, Taral, Boir, and Masov, roughly from west to east. Marovingia is the furthest south, along the equator, and blessed with plenty of rainfall and good weather. It acts as the breadbasket for the rest of the Five Duchies, with huge farms that produce food over multiple growing seasons during the year. The Marovingians, unlike most of the Five Duchies, do not venerate spirits of places or ancestors… they worship their gods. Their gods are physical beings, men and women who are born with a natural connection to the spirit world, and who are able to manifest powers. Marovingians are the closest to the Vendakar Kingdom, so they are bitter rivals. Marovingia’s large population and large percentage of land ownership gives rise to citizen soldiers who fight in their legions. Asador is a volcanic highland, of rolling plains and towering cinder cones. The people of Asador are as volatile as their lands, being known for fiery tempers and ancestral grudges. While they are likely to engage in bickering or feuds, they will work together against common foes. Asador’s plains give rise to herds of cattle and sheep and the people are split between the small towns, built like fortresses on the volcanic peaks and the roaming peoples who raise livestock and live on horseback. The volcanoes in Asador’s highlands provide power sources for their wizards, allowing them to harness that energy to power their magical inventions. Asador’s cavalry, both heavy and light, are their military strength. Taral is another highland area. Taral, unlike the other Duchies, is much closer to barbarism. The people of Taral experience some of the strongest and fiercest winters on Eoriel, with snow depths reaching forty or fifty feet. Taral lies between two mountain ranges and the lake effect off the Boir sea buries the Duchy every winter in snow. The heavy run-off in the spring erodes Taral into steep gullies and ravines, floods fields, and feeds the multiple rivers and lakes. Due to the harshness of winter, Taral has developed expertise in enchanting, crafting sunwells which gather light all through the spring, summer and fall to allow them to grow crops underground to withstand the winter months. They’ve adapted their enchanting skills to other areas since, but each village and town is built around a sunwell and the sunwells are of extreme importance to them. The people of Taral are in constant skirmishes with the mountain barbarians as the two people feud over highland valleys to grow crops and run livestock. Boir rests along the inland Boir Sea. The people of Boir are industrious and are often drawn to trade and exploration. They build the best ships and their shipmasters travel everywhere. Most cargoes in Eoriel travel in a ship from Boir. The shorter growing seasons mean they are dependent upon food imports to maintain their population, but they spend the long winters working and laboring, providing goods and items for export and trade. Boir’s naval forces are their primary military strength, designed primarily around defeating the northern barbarians sea raiders, who plague their coastlines. The last of the Five Duchies is Masov. Masov is the largest and is separated from the rest of Eoriel by the Boir Sea and the Ryft, connected by land only at the Ryft Guard, a massive fortress which spans the Ryft at its narrowest point. Masov’s people are as varied as it’s terrain. In the northern lowlands, trade and industry are more important to the people, while in the southern highlands, farming and logging are what people do to live. Masov’s central area is thin, hedged on one side by the Eastwood and on the other by the ocean. Masov, however, is the oldest of the Duchies, and one of the first to support the Starborn High Kings and is seen as the cultural center for the Five Duchies. The main focus of magic in Masov is blood magic and the mages who practice their arts are the best healers in Eoriel. As a counter to this, those who stray into perversions of blood magic, sorcerers, are also more common here. The southern deserts and high mountain valleys are host to more of the barbarians in the south, while the northern lowlands are raided by the northern sea raiders, which gives the Duchy a unique perspective on threats. With that baseline established, coming into more recent times, the High Kingdom has fallen into disrepair. The High Kings are extinct, brought down by betrayal. In the process, the Five Duchies have created their own feuds and have fought one another, setting the stage for no one Duchy quite trusting the other to have their backs. As a consequence, the barbarians and the Vendakar have been able to raid and attack more successfully. In particular, Taral is brought low by the mountain barbarians, with many of its towns and villages destroyed and its people surviving only in isolated mountain villages, small pockets of civilization against the barbarians. Since Taral lay central to the Five Duchies, it’s loss makes travel and communications between the others difficult, at best. Boir maintains travel by sea, but the increase in northern sea raiders makes that dangerous too. The general decline of civilization means that knowledge and information are lost. The Starborn families that survived the fall of the High Kings associate less with the other people of Eoria. Lack of communication and trust means that civilization declines still more. The volatile people of Asador’s feuds erupt into full blown civil war when their Duke dies without a clear heir. Each of the Duchies is isolated and alone and the barbarians threaten to overwhelm them. This, then, is the perfect place for my story to start. I have a rich history (which I populated with names, dates, and other fun historical stuff), I know what people are where and what motivates them. I know what magic works, what science and technology work, and how the different people can apply them. Civilization, on Eoria, is at the brink of collapse. Into this, then, I populate the characters, men and women who either want to give civilization that last push towards collapse or who want to bring it back from the brink. That concludes my world building series, hopefully it helps other writers and, if not, then at least it proved interesting. In my previous post, I went into detail on how I designed the physical geography of the world and what considerations I had towards the setting. See the last post here. This time, I’ll go into what makes a fantasy setting, well, fantasy. Strapping men with bare chests and scantily clad women… er, no not that kind of fantasy. Magic, we’re talking about magic. Because that scene where the hero(ine) is about to cut loose and slay their foe is so much more impressive when they do so swinging a magic sword, right? I’ll pause here and mention that I essentially shelved my entire writing project for years while I designed a magic system for it. This is not me tooting my horn, this is me warning you, as a reader, that it can be a process that takes over, that there are hazards in world building. Like anything else in writing, magic should not be the end-all-be-all of the story. I spent years developing the rules of my magic systems and what it all boils down to is that it works best if it’s in the background of the story rather than front and center. The reader doesn’t want a ten page explanation of how the conjuring functions. Nor do they want the down on their luck adventurers to have the day saved at the end of the story because… well, it’s magic! Establishing rules for it is a good way to avoid the latter, while the former is something to avoid through improving your writing craft. Personally, I’m of the mindset that it’s better to have details that the reader doesn’t need than to leave the reader feeling that they were ‘robbed’ by the ending of your story. All that said, what do you want to accomplish with the magic in your world? For me, I’m irritated by magic in books and movies that has no price. I’m an engineer by both education and trade, I know that energy has to come from somewhere… so when the wizard cuts loose with beam of purest light… where’s he getting the juice? Matter can neither be created or destroyed (energy too, they’re exchangeable). The answer, for my world, is that there are tons of power sources. Heat and light are the most common, and obvious, sources of power. Those are what our current technology relies upon to produce electricity. So, creatures and people who use arcane power do so from stores of energy they converted from heat or light… or other ‘free’ sources of energy. This then led me to categorize what forms of magic we’ve heard of and to develop practical methods for them. I won’t go exhaustively into detail, but I developed rules for wizards, witches, gods, demons, priests, mages, and sorcerers, all based off of different methods of transfer, storage, and usage of that available energy. From here, I also applied different methods of each. Some wizards would approach the use of their magic in a scientific method, exploring the capabilities and potential through experiments and gradually refining it over time. Others, in turn, would approach it like an art form, eschewing crude or clumsy spells for ones that serve multiple purposes or accomplish a task with greater subtlety. Lastly, as far as magic, I figured knowledge would be powerful. Knowing about thermodynamic processes would give a spellcaster advantages. Understanding complex geometry when drawing a rune would improve their efficiency. Wizards, therefore, would need to be both well educated and smart enough to apply their knowledge of science. Mages and Sorcerers, whose magic is focused on biological constructs and modifying living creatures, would need to know exhaustive details of biology, chemistry, botany, and medicine, to better practice their arts. This in turn, also applied to the cultures of the world. Some cultures would approach magic in scientific measures, experimenting and pushing the boundaries, while others would develop it to an art form. Still others would encourage the use of horrific biological experiments and creating monsters, while others would use the same forms of magic to prevent the spread of disease and heal. The next step, for me, was why did humanity utilize magic instead of technology? At its simplest level, technology is sharply distinct from magic. There is a sharp cause and effect split. Praying to a spirit to put out a fire is far different than filling a bucket with water and dousing it. Some levels of technology would have to function or else the world wouldn’t make much sense. Muscle powered things such as weapons, tools, and the like would need to work. But why wouldn’t more complex things, like gunpowder, steam power, or even clockwork devices? My solution to this issue was twofold. First, I’d already established that power had to come from somewhere. What if beings seeking power could take it from available sources? Steam power requires a heat source, and if an educated wizard can drain the heat out without the use of a steam engine, why would he want to build one? Furthermore, if there are energy beings in search of sources of power, items like steam engines would be targets. Energy beings would feed off of them, passing the heat to the outside air and gaining power in the energy transfer. The same would work for combustion engines. The same effect would work for chemicals such as nitroglycerin and gunpowder. Energy beings would see the potential energy in such items, and for a slight cost (a spark) they could harness the latent energy in one jolt… having catastrophic results for anyone in the area. The second part, for me, was what would stop more advanced technology? In my planned background, the people of Eoria were descendents of multiple colonization waves. They lost their technology as it failed over time. The answer for me was a low grade electromagnetic field generated by the magnetic field of the star. This would cause electrical differences that would cause sparks, static welding, and other issues that would slowly cause failure on most technology. Everything from circuit boards to metal gears would be affected over time, gradually failing. Combined with the voracious energy beings of the planet, any high tech civilization which visited would have power cells drain rapidly, parts break, and would generally see a systematic failure of their equipment. Would there be a work-around? Of course, but the easiest method would be to adopt the local magic forms and once the transfer was made, then why try to rebuild a technology base when the infrastructure for magic is already in place? That’s my method of designing magic and technology in my world. As you can see, I focused on what I wanted and then set the circumstances that would create that. Along the way, I established rules for the magic system, to limit the capabilities and explain what would work and what wouldn’t. Next post I’ll talk a bit about how I designed the cultures and societies of Eoria.